HISTORIC RAPPAHANNOCK RIVER PLANTATION. In 1785, John Pratt came to Caroline County from King George County and purchased 661 acres of land. He named his plantation Camden, after Charles Pratt, Earl of Camden who was a supporter of the American Colonists and opposed the British government s colonial policy of taxation without representation. Construction on the present house was completed in 1859. 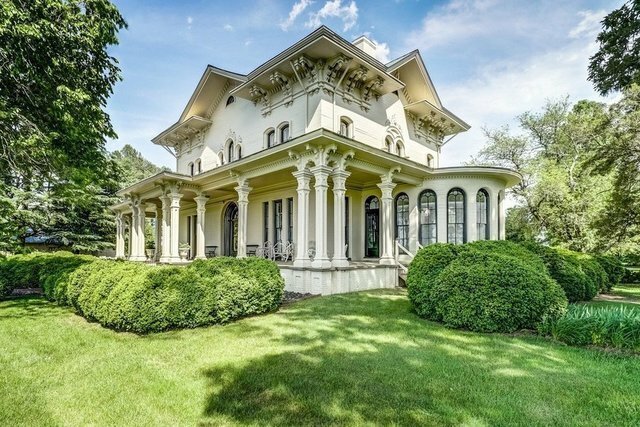 Designed by noted architect Norris Starkweather, of Philadelphia, Camden Farm is a National Historic Landmark (this designation is honorary; no restrictions over the property). Main residence of 6 bedrooms, 3 bedroom guest house and a detached 3 bay garage. The major change the house has suffered is the loss of its tower, which was destroyed when fired upon by Union gun boats during the Civil War. Deep water access allows for various river activities including boating, paddling, fishing and FUN! There are no Easement, Historic or Wetlands Restrictions on Camden. Additional land is available for purchase, but acreage by itself is not available for sale.